The Catholic Jedi Academy: Hush! And Grow Up Spiritually! 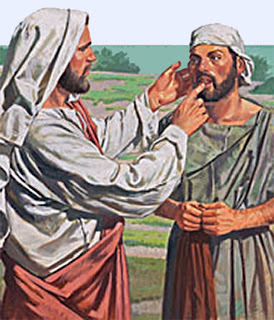 Again Jesus left the district of Tyre and went by way of Sidon to the Sea of Galilee, into the district of the Decapolis.And people brought to him a deaf man who had a speech impediment and begged him to lay his hand on him.He took him off by himself away from the crowd. He put his finger into the man's ears and, spitting, touched his tongue; then he looked up to heaven and groaned, and said to him, "Ephphatha!" ‑ that is, "Be opened!" ‑ And immediately the man's ears were opened, his speech impediment was removed, and he spoke plainly. He ordered them not to tell anyone. But the more he ordered them not to, the more they proclaimed it. They were exceedingly astonished and they said, "He has done all things well. He makes the deaf hear and the mute speak." This encounter recorded in Saint Mark’s Gospel is very puzzling. 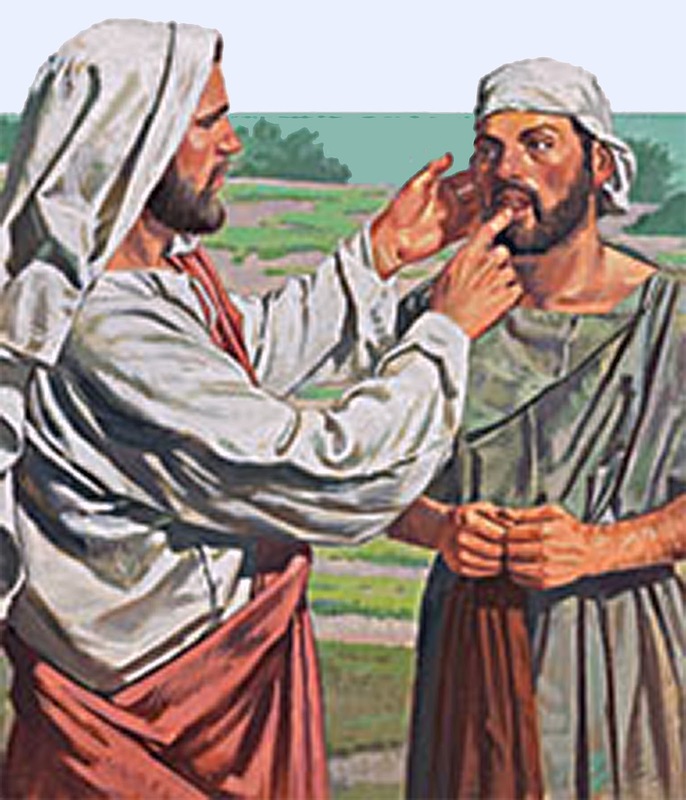 Some people present a man to Our Lord Jesus -- a man who is deaf and mute. They ask the Lord Jesus to heal him. The Lord Jesus takes the man aside and -- with symbolic gestures and a single command, "Ephphata!” “Be opened!" -- He heals the man! But, then, the Lord Jesus gives a second command: "He ordered them not to tell anyone." Huh?! Don't tell anyone?! How does a man who has just received the gifts of hearing and speech hide his jubilation, hide the fact that he is no longer deaf and mute. And how can his friends conceal their great joy in his receiving this miracle cure? So, as l stated earlier: Huh!? Why did Jesus order them not to tell anyone? That is what is so confusing and puzzling about this miracle. Here are three possible explanations. The Lord Jesus ordered them to keep this miraculous healing quiet out of false humility - because, it wasn't important whether people knew who performed the miracle. The First Explanation is wrong! Because, when the Lord Jesus performed other miracles, He always insisted that the recipient and the onlookers thank God: because it was God who granted that healing. And so: Why did Jesus order them not to tell anyone? The Lord Jesus intended this miracle healing to be a private act specifically for this man alone. The Second Explanation is wrong! Because every miracle Our Lord Jesus performed was public proof of His identity as the Christ, the Holy One sent by God to bring salvation to everyone, for all of time – not just the person who was healed. There is no such thing as a "private" or a "personal" miracle! Miracles are granted for the benefit of everyone! 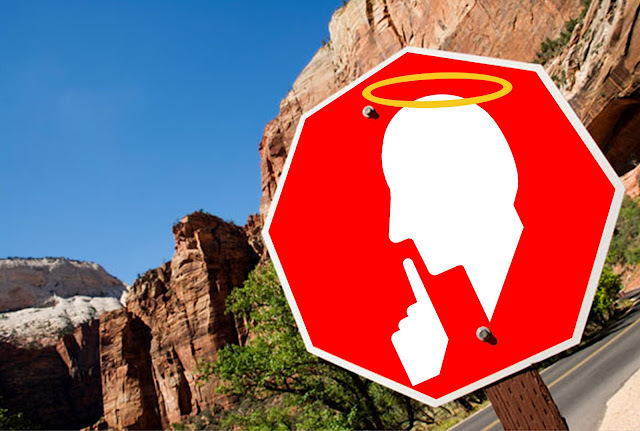 And so, again: Why did Jesus order them not to tell anyone? He wanted them to avoid putting all the emphasis on His ability, on what He could do. He did not want them to overstress the miracle itself Instead, He wanted them to emphasize Who He is, what He is teaching, and Who sends Him -- not focus totally on what He could DO. Unfortunately, as we heard, they went away proclaiming, "Hey, everyone, Jesus does miracles! Who cares what He said or what He means? Hey, He can make the deaf hear and the mute speak!" The Third Explanation is the correct one! Through this incident saved for us in Saint Mark’s Gospel, Our Lord Jesus is trying to teach us about becoming Spiritually Mature. And, it has nothing to do with our chronological age! Those who are spiritually mature can remain focused on Who Jesus is, what He is teaching them, and Who sends Him to them! The spiritually mature do not focus on what Jesus can do. In our daily lives, we often find ourselves attracted by the spectacular, by the unusual, by famous people and their remarkable exploits. "Enquiring minds want to know," so we read papers and magazines; we watch TV reports. However, feeding our fascination for the unusual and spectacular arrests and delays our spiritual growth. In our spiritual lives, we can be so preoccupied with people who claim to have or truly do have private revelations and visions -- of the Lord, or His Blessed Mother, or the Saints -- that we ignore and disregard the Lord, His Mother, His Teachings, and our putting them into practice. Being absorbed in our fascination about healers and visionaries and their experiences of God and what they are doing for God, turns us into mere spectators. We end up watching what they do for God and what God does for them - while neglecting our own relationship with God. And it's so sad: because God invites us to so much more. God wants us to have an intense and full, and always deepening relationship with Him! In the beginning of our spiritual development, we often experience many joys and consolations. But as we continue to mature spiritually, the Lord reduces and stops providing a lot of joys and consolations -- for fear that we become absorbed in them, and not in Him! For fear that we begin to think that God owes us these consolations! ✠ Ask God for whatever you need for your relationship with Him to deepen. never turns away anyone who asks for His help. about our neighbor rather than run after the marvelous and spectacular. Let us ask God to help us join Our Lord Jesus - helping Him bring about the completion of the Kingdom of God on earth - one person at a time!